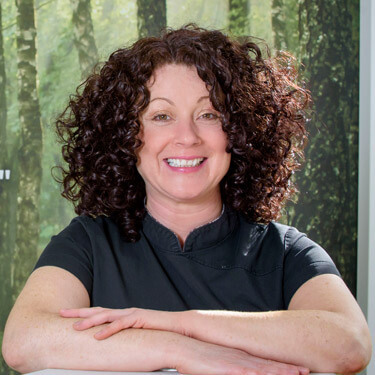 Our chartered physiotherapist Teresa Cadle has been practicing massage therapy in Edinburgh since 1998 and began working at our Leith location in 2014. She has an ITEC diploma in Sports Massage and an HNU in Aromatherapy. Teresa always had a keen interest in physiotherapy and in 2009 started the bachelor programme at Queen Margaret University graduating with a BSc (Hons) degree in Physiotherapy, in 2013. Physiotherapy encompasses a range of interventions used to restore movement and optimise function in someone affected by injury, illness or disability. A holistic approach is used to identify the needs of each individual, and a tailored plan of care will be devised to address these needs taking into consideration any goals or targets identified. You first would come in for a consultation. Teresa would do a physical assessment (please wear comfortable sportswear) and talk through your issues to determine what’s wrong. That would determine what she would assess and look at. After a thorough assessment, she would discuss appropriate treatment options which would usually include advice and education, manual therapy and a tailored exercise plan that includes stretching or strengthening. How frequent you would come in for care depends on what you need. For example, people who come in on a regular basis often do so due to a condition that they have or a work-related injury. Those with injuries typically will come in for about six sessions to see results. Individuals may come in once every few weeks or once a month just to maintain their range of motion as well as their health and a certain level of wellness. Unlike a spa massage, the massages Teresa provides are tailored to what patients need. This form of massage uses specific techniques to release muscular tension, increase range of movement and reduce pain and inflammation. Sports massage is often used to correct problems and imbalances that are caused by repetitive strenuous physical activity and trauma. By combining essential oils with specialised massage techniques, a wide range of ailments may be treated. Aromatherapy message is the perfect therapy to reduce stress, promote total relaxation and a sense of wellbeing. Contact Connect Chiropractic’s Trinity location today to schedule an appointment with Teresa!